If your baby suffered a chorioamnionitis birth injury, you could have grounds for a medical malpractice lawsuit. Chorioamnionitis is a serious medical condition that occurs during pregnancy. The membranes that surround the fetus become infected with bacteria, threatening the health of both the mother and the fetus and potentially necessitating an immediate delivery. If your baby suffered a birth injury because your doctor failed to diagnose your chorioamnionitis, you could be entitled to compensation from a medical malpractice lawsuit. 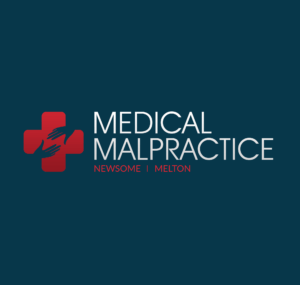 A chorioamnionitis misdiagnosis birth injury lawyer from Newsome Melton can help you pursue a malpractice claim and recover damages. We help clients who suffered injuries or had babies suffer harm during childbirth. We offer a free case evaluation and work on a no-win-no-fee basis. You do not pay us a fee until we recover damages for you. To speak with a member of our staff today, call us at 855-633-2757. Chorioamnionitis can create a situation that requires early delivery. Any situation requiring an early induction of labor is one an obstetrician and his or her medical staff must approach with extreme care. A moment of negligence can lead to disastrous consequences for both the mother and baby. If you had one or more of the above symptoms, your medical provider should have conducted a full physical exam, including the extraction of amniotic fluid to check for bacteria. The earlier chorioamnionitis gets detected, the better the chance of successful treatment and thus the reduced possibility of long-term health effects in the mother or baby. Following a positive test for chorioamnionitis, your doctor should have immediately ordered an ultrasound to check the health of the fetus. If the fetus shows no signs of complications, the doctor may treat the condition by prescribing you an antibiotic. If the fetus is infected, though, an immediate delivery may be necessary. Also, prior research has drawn a link between chorioamnionitis and the development of cerebral palsy. If your child has cerebral palsy and you experienced chorioamnionitis during pregnancy, there is likely a connection, and the doctor or healthcare provider who treated you while you were expecting may be liable. We will investigate and find out. For a free case evaluation with a member of the Newsome Melton birth injury legal team, call 855-633-2757 today. Your doctor or healthcare provider owed you or your baby a duty of care. Your doctor or healthcare provider did not uphold his or her duty of care. Because of your doctor or healthcare provider’s failure, your baby suffered harm. The harm suffered by your baby caused you to incur economic or non-economic damages. We will first show how your doctor or healthcare provider had a duty of care to you and your baby. An active doctor-patient relationship implies this duty exists. A doctor’s duty of care extends to his staff and to the facility where treatment is taking place. We will then show how your doctor or healthcare provider failed to uphold his duty of care to you and your baby. In this case, a failure to uphold duty would include misdiagnosing or failing to diagnose your chorioamnionitis. We can prove this failure of duty by applying the reasonable person standard. That is, we compare the defendant’s actions compare to what one would expect from a reasonable person in the same situation. We can bring in medical expert witnesses to play the role of the reasonable person. By showing how your doctor or provider’s actions fell short, we can demonstrate that he did not uphold the duty of care. The third thing we must show is that your doctor or healthcare provider’s failure of duty caused your baby to suffer a birth injury. We will collect and assemble substantial evidence to make this case, including medical records, hospital records, physicians’ statements, and expert witness testimony. Finally, we have to demonstrate how you have incurred economic or non-economic damages because of the harm suffered by your baby. Each state has a time limit for lawsuits, known as the statute of limitations. If you let it pass, you could lose your ability to recover damages. If necessary, Newsome Melton can take quick legal action on your behalf to preserve your right to compensation. Our chorioamnionitis misdiagnosis birth injury attorneys can help you recover damages for your child’s birth injury. Do not delay; call us at 855-633-2757 for a free consultation and case evaluation. Our chorioamnionitis misdiagnosis birth injury lawyers want to help you hold your medical provider liable for your baby’s birth injuries. Call Newsome Melton today for a free consultation: 855-633-2757.